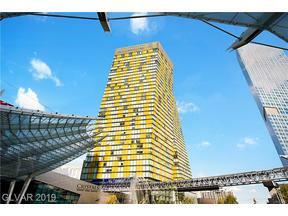 Absolutely perfect Las Vegas strip pad in prestigious Veer Towers on the footsteps of Aria! Partial strip view from this unit, just a few steps from the Crystals mall, Aria, The Park, T-Mobile arena, and all that Las Vegas has to offer! The rooftop pool and rooftop gym provide breathtaking views of the city, all in the Center of the Las Vegas strip!